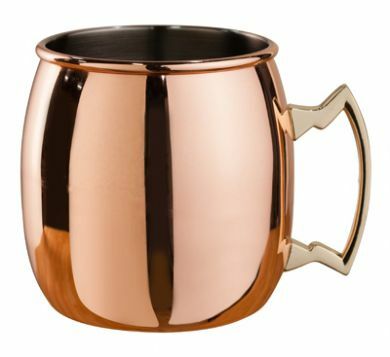 500ml Copper Plated curved Sided Moscow Mule Mug. Gives a very unique look to any cocktail making them stand out in presentation. This very modern copper mug would be perfect for any bar, restaurant, pub, cafe or parties at home. Would make any table setting stand out and look the part.